Welcome to the well known coffee house Dunkin' Donuts which sells the best baking products in the area of Albuquerque (New Mexico). 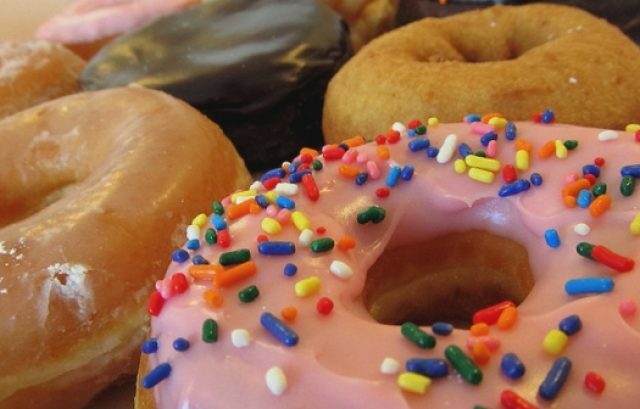 At the address 4009 San Mateo Blvd NE, Albuquerque, NM, 87110 you will find excellent quality and low prices in donuts, snacks, drinks. Opening hours at this business can be checked on the right side of this page. Nowadays it is very common to find bakeries where, in addition to getting bread or cupcakes, you can also lunch for a small fee. These businesses, besides being responsible for the preparation of products derived from the wheat, are also restaurants that offer very complete menus. If you need to locate one of these businesses in the vicinity of Albuquerque, do not hesitate to check the map or the list under these words.